Futurists pointing to Moore's Law claim that mobile devices will soon be just as powerful as current-generation consoles. 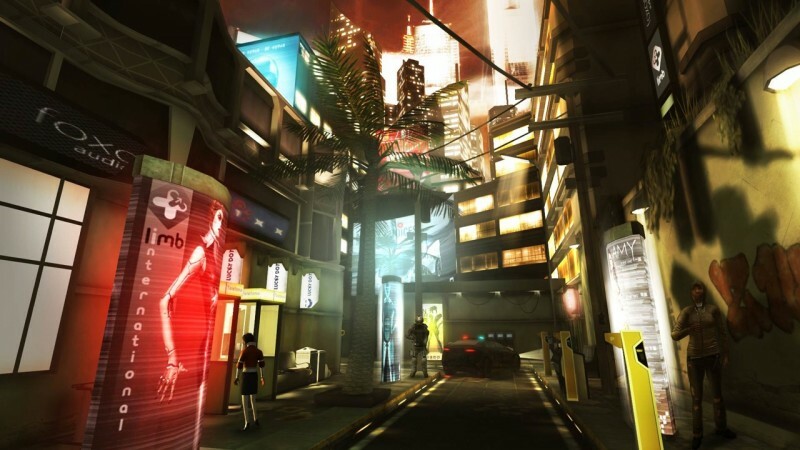 Judging by Deus Ex: The Fall, that reality may get here sooner than many people expected. 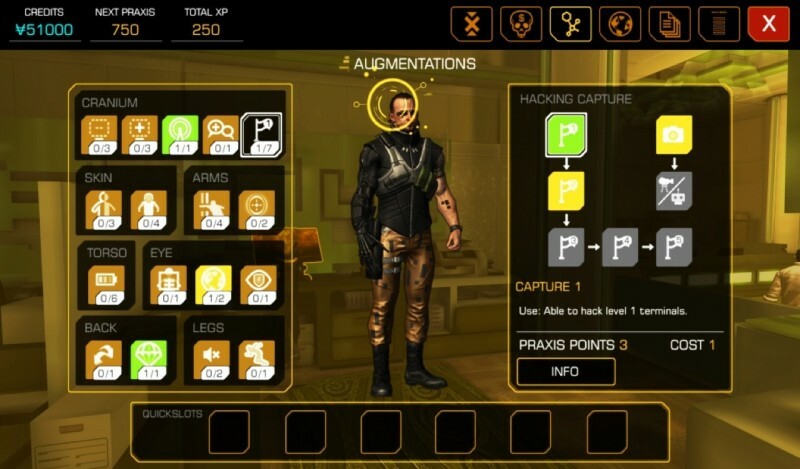 Instead of jumping straight to a console sequel for the well-received Deus Ex reboot Human Revolution, developer Eidos Montreal teamed up with N-Fusion to craft a spin-off game for iOS that retains most of the core features of its predecessors. 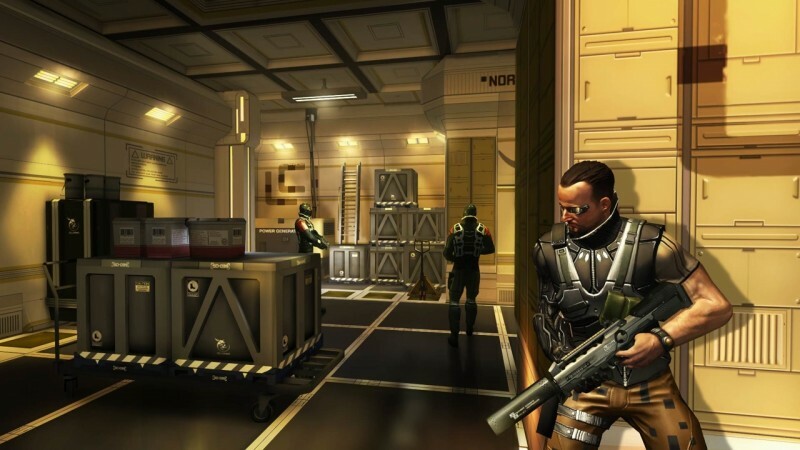 The graphics suffer a hit in the migration to the mobile platform (most notably with recycled environments and ugly character models), but otherwise this is a full-featured Deus Ex game with the same weapons, hacking, augmentation, and conversation systems as Human Revolution. 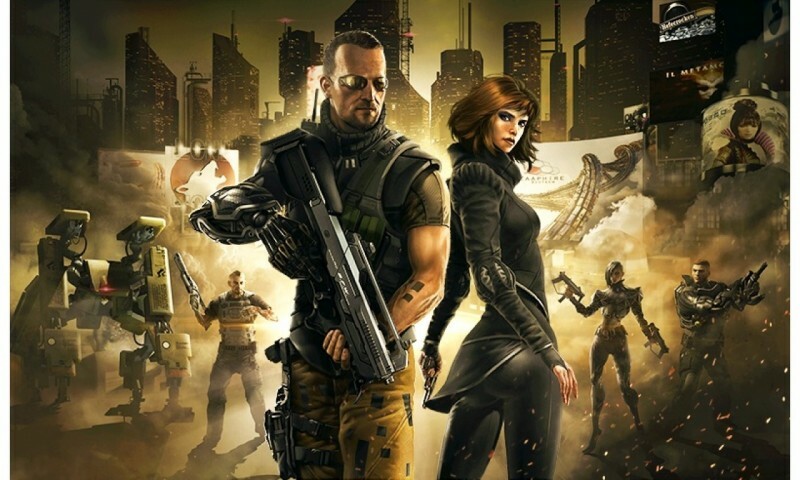 The Fall takes place after the events of the Deus Ex: Icarus Effect, a book that launched concurrently with Human Revolution. Protagonists Ben Saxon and Anna Kelso have gone dark in an effort to unravel a complex conspiracy involving private military contractors, medical companies involved in the augmentation market, and the government bodies responsible for overseeing these trades and practices. Their pursuits take them across the globe, from Moscow to Panama City. The majority of the game takes place in Panama City, which feels sparser than the urban areas in Human Revolution. The South American residents of this city share many peculiar habits with their Detroit and Montreal counterparts, leaving pocket secretaries unattended on city benches or ledges and throwing perfectly good energy bars and money into trash bins. 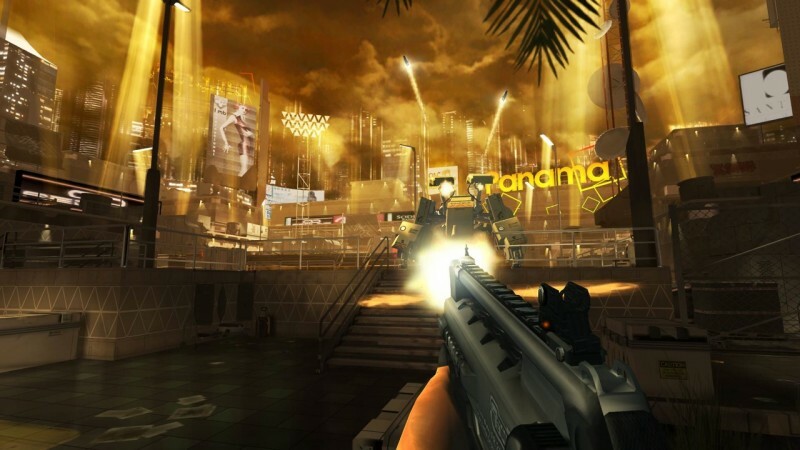 In the Deus Ex tradition, you can choose one of several approaches in infiltrating a new environment. You can go in with guns blazing, stealthily traverse ventilation systems and take down enemies one-by-one, or use your hacking skills to turn the turrets and robot sentries against them. I suggest the stealth route, because the combat system needs to go back to boot camp. As with most mobile first-person shooters, The Fall struggles with the touch interface. 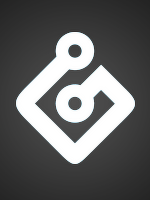 Rather than offering virtual analog sticks or tap-based gameplay, N-Fusion decided to include both. Players can move and aim with virtual along sticks, awkwardly taking their fingers off either stick to hit a shoot button. Or you can double-tap the environment to move and then use the right virtual analog stick to aim and while on the move. The combat is competent enough for popping in and out of cover in smaller firefights against the brutally unaware enemy AI, but lacks the responsiveness necessary to take on larger groups of enemies. The stickiness of the cover system can get you in a jam if a soldier flanks you, and the aiming system is too convoluted to make shooting from the hip a viable alternative when you get in a jam. Given these shortcomings, I chose to largely avoid skirmishes in favor of navigating ventilation shafts. Troublesome combat wasn't the only issue I encountered playing The Fall. The game crashed several times on the iPad Mini, most frequently when entering new zones or hacking doors. The abrupt ending of Deus Ex: The Fall, which comes well before you even get to the meat of the story, begs elaboration. If Square Enix hopes to grow this brand further on mobile devices, it needs to find a suitable first-person control scheme or bite the bullet and support a gamepad. The technical feat of getting a game of this pedigree up and running on iOS is impressive. Without competent combat, however, all that work is for naught.